Francis Macy, a dedicated environmentalist, energy activist and citizen diplomat, whose ground-breaking work inspired fresh collaborative ventures with the former Soviet Union, died unexpectedly of an apparent heart attack in Berkeley on January 20th, 2009, at age 81. Macy was the Founder of the Earth Island Institute’s Center for Safe Energy, and as its director since 1995, he trained hundreds of activists in Russia, Ukraine, Georgia and Kazhakstan to address the environmental legacy of the nuclear arms race and the Chernobyl disaster. Initiating scores of professional delegations and exchanges between Americans and their counterparts in the former Soviet Union, in the areas of psychology, environment, and citizen organizing since 1983, Macy’s work empowered the rise of non-governmental organizations— a strong contribution to the health of post-Soviet life. In 2005, he was awarded the Nuclear Free Future Lifetime Achievement Award. Macy “pioneered as a citizen ambassador linking Russians and Americans in shared concern for the environment, at a pivotal time when environmental activism was just emerging in the Soviet Union” and “led in the formation of permanent protection and restoration efforts, such as Earth Island’s Baikal Watch project,” says John Knox, Executive Director of the Earth Island Institute. 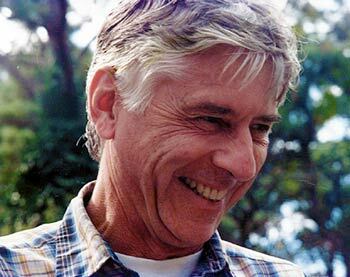 Earth Island’s founder, David Brower, was “particularly grateful for Macy’s leadership in engaging him with Russia’s foremost environmental leaders”. Having organized in 1961 the first US government traveling exhibit to the USSR, Macy became one of the first Americans to establish trusted working relationships with the Soviet Union. Drawing on his experience, he has been a board member of Center for Citizens Initiatives fostering cooperative partnerships between U. S. and Russia. A deep interest in the world views underlying policies that despoil the Earth, Fran Macy complemented his organizational trainings with experiential teachings in Deep Ecology. He served as Director of the Institute for Deep Ecology from 1995, and led deep ecology, transformational workshops around the world with his wife, Joanna Macy, a leading Buddhist and systems theory teacher. Together they trained people to become leaders in the broader environmental movement. Especially concerned with the dangers of nuclear contamination, he worked tirelessly to promote safe energy alternatives and was active on the Board of Tri-Valley CARES, a watchdog group at Lawrence Livermore Nuclear Lab, as well as the Nuclear Guardianship Project and the Alliance for Nuclear Accountability. Born in Evanston, IL, February, 1927, the youngest of four brothers, Macy attended North Shore County Day School and Wesleyan University, where he majored in Government and was active in Drama. He then received an M. A. in Slavic Studies at Harvard University. Fran was one of the first students to racially integrate student living arrangements, both at Wesleyan and at Harvard. Former roommates Ernie Howell, the former director of the Asian Society and Chuck Stone, the eminent African American journalist, became lifelong friends. He married Joanna Rogers in 1953. Macy’s life was emblematic of the 20th century. Feeling called to play a role in the great drama of his age– the Cold War struggle between the U. S. and the USSR– he learned Russian and in the 1950’s, he worked for Radio Liberty, a Russian language radio station based in Munich. In 1961, at the time of the “thaw” under Khruschev, he led the first US traveling exhibit to the USSR, recruiting young Russian-speaking American graduate students to serve as exhibit guides. People cued up for hours to meet Americans for the first time. This introduction to people-to-people diplomacy motivated Fran Macy to decline a prestigious Moscow post and opt for service to the American Peace Corps. For eight years, from 1964 to 1972, he served as Deputy Peace Corps Director in India, as country Director in Tunisia and Nigeria, and then as director for all Peace Corps programs in Africa. From the Peace Corps, Macy’s career journey led him to create the Central New York Regional Learning Service, a first of its kind service to counsel adults on life changes. Based on the success of this model, Macy developed a national organization to support the development of similar services around the country. Macy’s career then evolved into Directing the Association of Humanist Psychology, where he developed their Soviet Exchange Program that brought delegations of educators and psychologists to Russia for professional exchanges and trainings. Macy’s Soviet citizen diplomacy work later expanded and encompassed critical environmental and energy issues faced by the former Soviet Union that led to the creation of the Center for Safe Energy with Enid Schreibman, who was Co-Director with Macy. Macy was considered by many who knew him to be an extraordinary man who deeply affected people’s lives with his love of life and the natural world and with his great ability to listen and inspire those around him. He died hours after watching with great joy the inauguration of President Barack Obama, an event he described as a high point in his life. He is survived by his wife Joanna Rogers Macy, his children Christopher, Jack and Peggy Macy, son in law Gregoire Vion and daughter in law Charlotte Dickson, and grandchildren Julien, Eliza and Lydia, all of Berkeley. If you would like to know more about this wonderful man, we suggest you read Widening Circles: A Memoir, by Joanna Macy, New Catalyst Books from 2007.